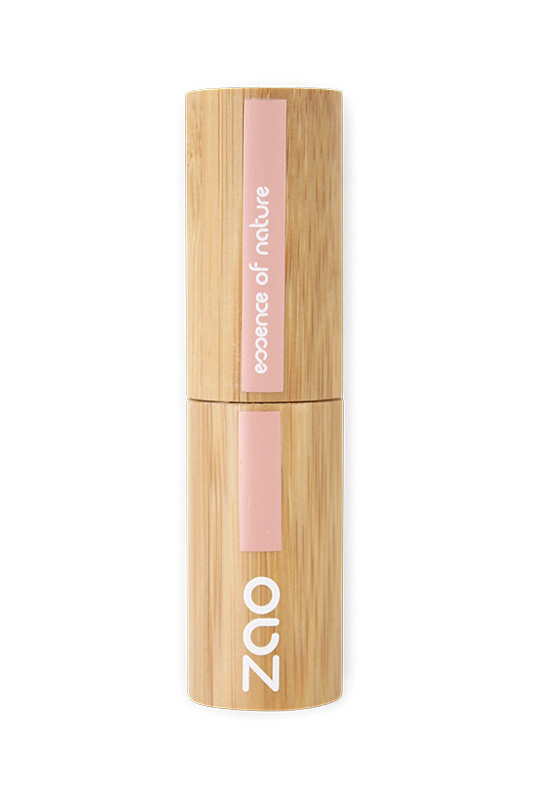 Zao Vegan Scrub Lip Stick gently exfoliates lips thanks to organic rice powder that eliminates small dead skin. Rich in castor oil and organic carnauba wax, your lips are moisturized and smoothed for a soft touch. With Zao Vegan Stick Scrub, your lips are naturally radiant and plumped up! J'utilise régulièrement ce gommage des lèvres, car quelque soit la marque de rouge à lèvres, il reste toujours un film coloré qui reste accroché à mes lèvres. Ce gommage ne dessèche pas mes lèvres!Très utile pour moi ! Zao Vegan Stick Scrub effectively eliminates dead skin! Use the exfoliating stick once or twice a week by applying it directly to the lips and massage to exfoliate. Gently wipe with a damp cotton pad to remove exfoliating particles. Then apply Zao Lip Balm or Lip Care Oil. 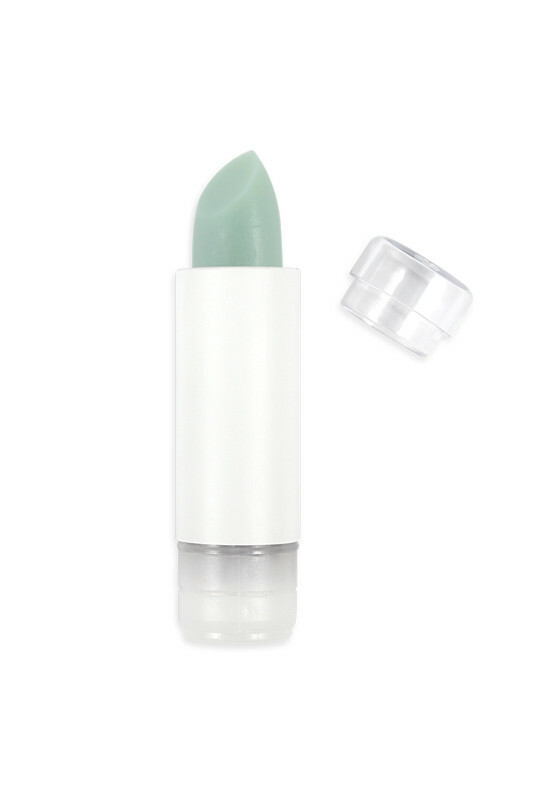 A 100% natural & vegan composition to gently exfoliate your lips! LIP SCRUB STICK 482 INGREDIENTS: RICINUS COMMUNIS (BEAVER) SEED OIL*, OCTYLDODECANOL, COPERNICIA CERIFERA (CARNAUBA) WAX*, ORYZA SATIVA (RICE) POWDER*, TRIGLYCERIDES C10-18, JOJOBA ESTERS, PRUNUS ARMENIACA (APRICOT) KERNEL EXTRACT, HELIANTHUS ANNUUS (SUNFLOWER) SEED WAX, PERFUME (FRAGRANCE), PHYLLOSTACHIS BAMBUSOIDES RHIZOME EXTRACT*, EUPHORBIA CERIFERA (CANDELILLA) WAX, TOCOPHEROL, ACACIA DECURRENS FLOWER WAX, POLYGLYCERIN-3, MICA, CI 77288 (CHROMIUM OXIDE GREEN), CI 77510 (FERRIC FERROCYANIDE), CI 77891 (TITANIUM DIOXIDE). - Organic rice powder (Oryza sativa (rice) powder): Rice powder is one of the oldest cosmetic ingredients. It gently exfoliates the skin: it removes all impurities and dead skin from the lips. - Apricot kernel oil (Prunus armeniaca (apricot) kernel extract): This oil is rich in oleic acid, vitamin A and E. In addition to being nourishing and softening, it gives your lips a radiant boost. Regenerating and moisturizing, it helps to delay the effects of aging.